Today [23 April 2016] marks the 400th anniversary of the death of William Shakespeare in Stratford-upon-Avon. His great Spanish contemporary Miguel Cervantes died in Madrid on 22 April 1616. To celebrate this unusual coincidence, UNESCO marks 23 April as the International Day of the Book. However, these dates are a little further apart than it appears: Spain adopted the Gregorian calendar in 1582, but England was still using the Julian calendar in 1616. So Shakespeare’s death on 23 April 1616 in the Julian calendar was the equivalent to 3 May 1616 in the Gregorian calendar. In other words, Shakespeare did not die on the day Cervantes was being buried, for the two great writers died 11 days apart. But there are still some coincidences that survive for pub quizzes. For example, it is also claimed that Shakespeare was born on 23 April, and everyone knows that today is also Saint George’s Day. Saint George is not only the patron saint of England, but also the patron saint of many other places, including – as I found out during recent visit – both Lisbon and Barcelona. But, how many people realise that on the day William Shakespeare died in Stratford-upon-Avon Oliver Cromwell was being admitted to Sidney Sussex College in Cambridge University? Two days after his admission to Sidney Sussex, Oliver Cromwell marked his 17th birthday. I have often sat beneath Cromwell’s portrait in the College Hall, but I can hardly imagine him as the sort of man to celebrate this event with a wild undergraduate party, or even crossing Sidney Street to buy a bottle of wine in Sainsbury’s. On the other hand, if he had a little more sense of fun and was a little more engaged with life, he might not have left Sidney Sussex without a degree. Shakespeare’s contribution to the English language and literature is rivalled only, perhaps, by the language of the Book of Common Prayer and the King James Version or Authorised Version of the Bible. Now a handwritten manuscript, hidden for years in an archive in Cromwell’s old college, is bringing new insights into the way the Bible was translated into English. Scholars recently found a draft of the King James Bible that was produced between 1604 and 1610 by Samuel Ward (1572-1643), a Cambridge theologian who was the Master of Sidney Sussex College at the time Cromwell was admitted as a fellow commoner. Professor Jeffrey Miller of Montclair State University, New Jersey, found a notebook containing the writings late last year (2015) and has been working since then to verify its contents. Samuel Ward was elected Master of Sidney Sussex College in 1610, six years before Cromwell arrived. This small notebook is in his own handwriting from that time. The manuscript had once been catalogued in the college archive as annotations for a single section of the Bible. But it now casts light on how the edited text of the King James Bible was put together. The King James Bible was eventually completed in 1611. The discovery of the manuscript indicates Ward worked on the draft while he was the Master of Sidney Sussex. The evidence shows how he took on various segments of the Bible to translate and compile from existing Hebrew and Greek documents. He also worked on the Apocrypha, which was published as part of the original King James Bible although is often omitted from later editions. In 1623, Samuel Ward was appointed Lady Margaret’s Professor of Divinity in Cambridge. But he lost his Calvinist friends when the First English Civil War broke out, and because of his sworn allegiance to the crown he refused to take the Oath of the Solemn League and Covenant. In 1643, Cromwell’s sympathisers made Ward a prisoner in Saint John’s College. When his health gave way, Ward was allowed to retire to Sidney Sussex College. On 30 August 1643, while he was in the chapel in Sidney Sussex, he was gripped by a seizure. He died on 7 September and was buried in the college chapel – three centuries later, Cromwell’s head was buried nearby in the ante-chapel on 25 March 1960. Earlier this month, I was writing about Shakespeare’s Irish connections, including the Irish characters in his plays, his supposed use of Irish idiomatic and colloquial terms, and the legend about his connections with Dalkey through the composer John Dowden. But there is also another connection between the Bard and Ireland through the Cobbe Portrait, an unattributed panel painting of William Shakespeare painted from life, and believed by some to be the only surviving painting of Shakespeare. The portrait was inherited by the Cobbe family of Newbridge House in Donabate through an association with Shakespeare’s patron, Henry Wriothesley, 3rd Earl of Southampton. Above the subject’s head, the Cobbe portrait is inscribed with the Latin words ‘Principum amicitias!’ – “the friendships of princes” or “the alliances of princes.” This may be an allusion to Horace’s Odes 2.1, where the words are addressed to Asinius Pollio, a poet and playwright. The Cobbe family came to Ireland when Charles Cobbe (1689-1765) was appointed a chaplain to his cousin Charles Paulet, 2nd Duke of Bolton and the Lord Lieutenant of Ireland. Charles Cobbe later became Archbishop of Dublin (1743-1765), and I found myself sitting beneath his portrait during a board meeting in the Chapter House in Christ Church Cathedral on Tuesday evening. The Lynders family came to Portrane about the same time as the Cobbe family came to Donabate, and my grandmother's family and the Cobbe family were said at one time to be the only freeholders on thaat peninsula. 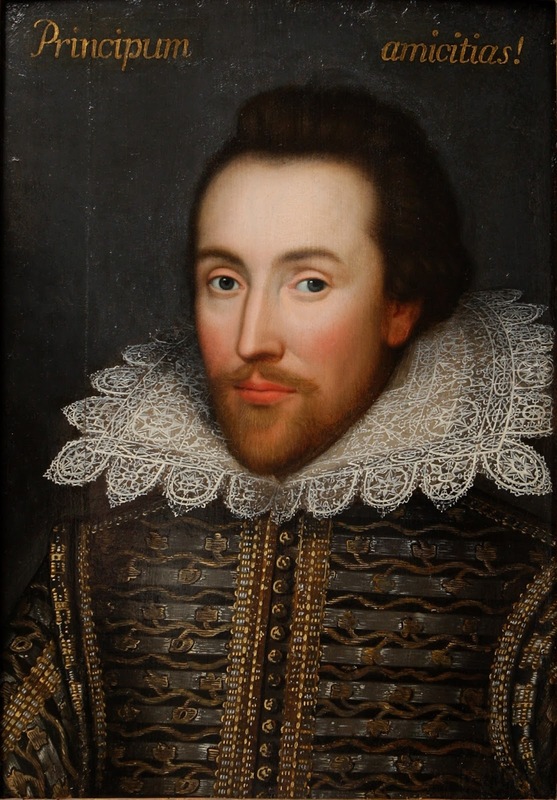 The Shakespeare portrait is said to have passed to the Cobbe family through the wife of the archbishop’s cousin, Southampton’s great-granddaughter, who inherited some Wriothesley heirlooms. Later generations of the Cobbe family of Donabate have included several prominent Irish politicians, clergy, writers, activists and soldiers, including the writer and social reformer Frances Power Cobbe, and General Sir Alexander Cobbe VC. The Newbridge Estate, acquired by Archbishop Cobbe in 1736, remained the Cobbe family home until 1985. 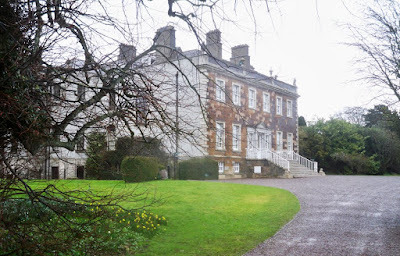 It was then acquired by Fingal County Council in a unique arrangement with the family, who continue to maintain it as a family home. However, until 2006, the portrait was completely unknown to the literary and arts world, and generations of the Cobbe family thought that it might be Sir Walter Raleigh. It was identified as Shakespeare only 10 years ago, although not all art and literary exerts are convinced. 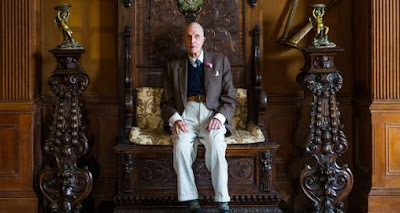 The Cobbe portrait is now displayed at Hatchlands Park in Surrey, a National Trust property, and has been the centrepiece of two exhibitions in Stratford-upon-Avon and New York.